Ok, problem for this case has been found and we have solution! If your Jabra Move headphones not produce sound in left channel in wireless mode - that's bad switching contact in jack connector! For checking if that your problem and solution too you must try to bend and close contact by hand for left channel pin! To dissasemble you don't need to unscrew anything, you just have to get the back part of the speaker in one hand and the other part(the one with earspillow) in the other and rotate the second one counter clockwise. If you put the right force you will feel a click and the headphones will be dissasembled.It's not so easy, but normally it could be done without breaking the headphones. BTW, for replace jack connector (it has SMD/SMT type) you must be able to work with surface mount soldering, so as not to damage the board! That Is not difficult, for this you must have: a soldering iron with a small tip, good quality flux, solder, and desoldering ribbon. Or better take help for such work from specialist! PS: apologies again for my bad English! Thank you @arsdezi, great summary. I'll buy the connector and I'll make the headphones as new :). Yesterday had experience and tried desoldering of connector and have troubles with them! Soldering from manufacturer on board have the high-temperature solder, and has very thin board tracks that is very hard for desoldering without damaging! For me not helped a good flux and desoldering ribbon - for quality soldering you must have the soldering-iron with hot air tip! I just wanted to say thank you guys for solving my left headphone issue. It works when the jack is plugged in and it doesn't on wireless. Your info and diagram for which pin is the left pin were helpful in identifying that was my issue too. I tried bending it back and that didn't work, so I soldered the gap in the pin down and I am back in action. I know over time the line in is going to break that connection. However, now I understand why so I'll be more gentle with plugging and unplugging the line in cable into the jack. I would say if you've been plugging a line in and twisting it around to get both headphones to work and now your left channels is silent while wireless, this is your issue. The left pin connection has a gap in its connection and you'll need to reconnect it. Don't see need to replace whole connector. The problem is behind bad contact in closed state of left channel. To fix it I placed 3.5 jack into connector and pressed to end of the contact to bend it down a bit. The trick is to place gentle enough force when the contact leaf is lifted by jack. BTW I found cheap lot free of shipping on Ali https://goo.gl/KxFBxq ; there are good soldering irons with adjustable temperature for 12-15USD too. @arsdezi - Thanks! My headset is a denon ah-ncw500 which had the same problem. The jack was not the same, but your description and pictures really helped me to fix mine! In my case the right channel was dead, and I poked around connecting leads in the jack until the right channel worked on bluetooth. Once i figured out which leads needed to be connected, I soldered a small piece of wire connecting those two footpads on the headphone jack together which solved my issue. I finally did the same thing @mrmuro describes in his comment – except I used a knfe as a cantilever to pry a bit to loosen the glue inside before I twisted it off. It's stuck pretty good. "It's hard to see what's going on there due to the clap and tape, and all the glue underneath. in the circle you can see the wire that has gotten caught by the cable when it twists inside the joint. The result of getting caught is that it is tugged, and thus reducing the contact with the soldering point underneath the glue. I forgot to take a picture of what I did afterwards, but I removed the glue and soldered the blue cable down onto the board again. when reassembling, try to place the tiny cables in a way so they will not get caught by the twisting black rubber cable in the joint." Disclaimer: You may have another tiny cable at fault, but in my case, it was the blue one. Huray! I was able to disassemble and open headphones! Any questions? But until this time I'm not check pins and cords for resolved my issue with sound: not play left chanel in bluetooth mode, but play all chanels in wired mode. I will try to solve the problem in a few days(at this week)! I found the problem! Only for not working left chanel in wireless mode! Yes, you are right – the blue wire is responsible for the left channel in the wireless mode, but the problem was not in the wires, in my case! The problem is very simple – is Jack! Full-contact (left chanel) in Jack not closes the contact when the jack is not in use, and therefore did not play in wireless! Firstly, try close contact by manual for the left chanel in jack! I hope you have a same solution for similar problem(not working the left chanel in wireless mode) and can fix this problem too! I will try to desoldering the jack and try to bend the problems contact, but I think that not best solution! May fix it by replacing jack with new jack (with switching contacts of course)! Hi, you really found it!!! The same problem with mine. I just bent the contact and now it's working perfectly. I agree that this is not the best solution, but I cannot find such connector anywhere. And it has to be absolutly the same otherwise it will not fit. If somebody finds such connector please share a link. Meanwhile I'll enjoy my WIRELESS headphones. Thank you!!! Thanks all, with this step i can replace my Jabra battery, because it was broken. I followed the step to open it, easily by putting the headset in the table compared using two hands. I also upload how to change the battery (3.7 V, 240 mAh). The things we should noticed is the dimension (original battery is about 16mm x 28.5mm x 6.3mm) of the battery. Because i bought from China marketplace, it slightly wider but it can placed well in mine. Now i can use bluetooth again..
You have a link to where you bought the battery fir the jabra revo? Took them off, unscrewed and started to disassemble. The headphone jack is under some epoxy however, and i need to fix one of the connections in there. Hello, I have the same headphone and the same problem (but only when connected with bluetooth, not with the jack). I removed the earspillows, unscrew the three screws that I found but I don't know how to go further, everything seems to be still stuck together. Hello, i have the same headphones, the same problem also. I managed to dissasemble them, but no luck with fixing. To dissasemble you don't need to unscrew anything, you just have to get the back part of the speaker in one hand and the other part(the one with earspillow) in the other and rotate the second one counter clockwise. If you put the right force you will feel a click and the headphones will be dissasembled.It's not so easy, but normally it could be done without breaking the headphones. same problem here works with cable but not bluetooth also the left strap adjuster is bit stuck. Use little hole-key to hold speaker side on surface, use handle to turn from left to right. Apply some VD40 or butter\vaseline on contact surfaces to open it in future just with hands. Pay attention on screw positionint relative to circle - two are from outside and one just on it (thats a key). Don't tighten to surface - they should allow earcup necks to get behind heads. When outdoors and not around anything solid that can reflect and reinforce the Bluetooth signal from a phone to these (or most Bluetooth headphones), the human body can easily block the signal and cause audio to cut out. This can be shown by placing the phone in your rear pants pockets on the opposite side of the headphone receiver, while in an empty field or parking lot. This is a common problem and many people have discovered it's their body itself "causing" the Bluetooth audio drop outs. 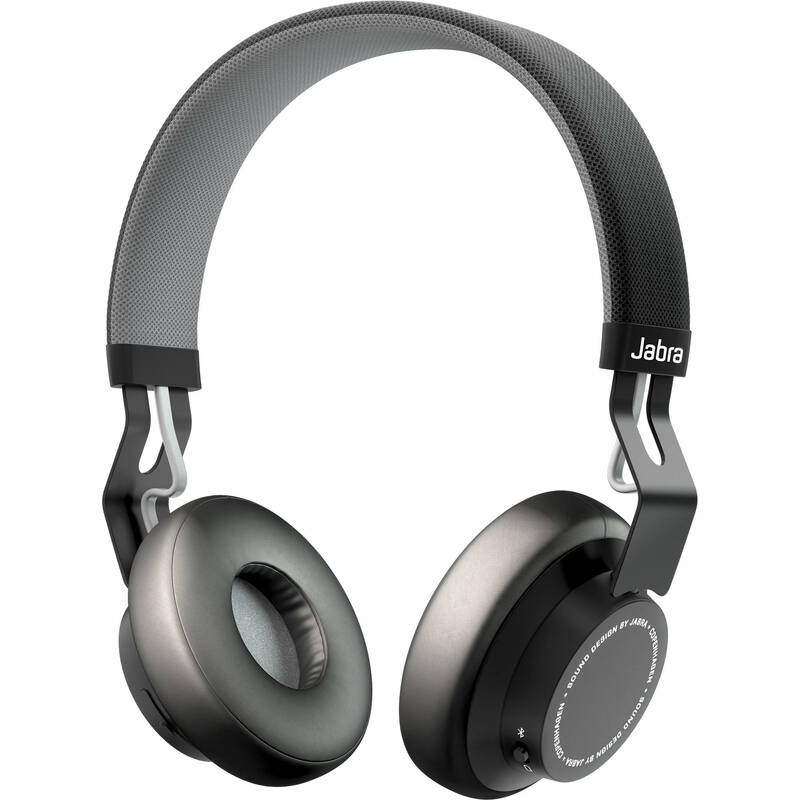 I'd like to see if there is a way to open up the cups on the jabra move and extend the antenna across the headband and into the left ear cup. So, the problem was that after using the "Line in" jack for couple of weeks, the left channel was silent when I switched back to Bluetooth. Both channels did perform normally when plugging the "Line in" jack. I've had this problem for a while now and even though I've already stumbled upon this message thread months ago, I had some problems with understanding the repair guides here. Not sure if the problem is that they're written in poor English, or if I just can't read English well enough. Probably both, and more the latter. For months I thought I had to order a new jack connector, pry open the whole %#*@ thing and hope I could assemble it so that it still would even vaguely resemble the headphones I once had. But the repair wasn't hard at all. Didn't even have to order anything. Thanks guys! This helped a lot! Funny thing is i only plugged in a cable ONCE just to hear how they sound without the bluetooth compression and the jack broke! Ear cushions also disintegrated after a few months! Really crappy quality! i'm thinking of selling them after i repair the jack & buy new cushions. I've been wondering if I can replace these cushions with something more comfortable. Any thoughts / suggestions after your teardown experience? I'd like to find something like the foam used on the bose memory foam on ear headphones. Ear Pad Cushion for Sony MDR-V150,MDR-V250V and MDR-V300 ; did such replacement twice; http://bit.ly/2wkKROI or http://bit.ly/2xyreXy for bargain prices ;) They fit and work well until your child get phones in his hands - they aren't so firmly\tight fixing in place as originals. I opened it up as described and bent the tab back into place and it’s as good as new. A word of warning, be careful of the speaker wire it is fragile. Thanks for this article. Brendan Reed wird auf ewig dankbar sein.